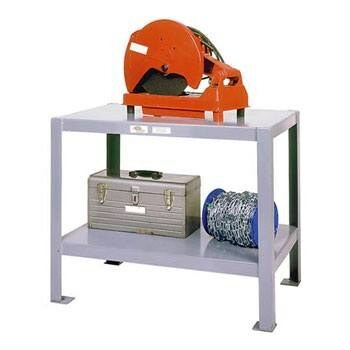 18 x 24 inch All-Steel Machine Tables are ideal for tool and die work, assembly operations, maintenance projects and as platforms for drill presses, table saws and belt sanders and 4 solid steel angles legs support the heavy-duty loads. 12 gauge steel shelves. All shelves are turned down.